Librarian in Training: IFLA WLIC 2016 - Cleveland Rocks! IFLA WLIC 2016 - Cleveland Rocks! This is the tenth in a series of posts about my experience of IFLA WLIC 2016. Other posts can be found here. Even though the IFLA WLIC officially finished yesterday I've planned one more library centric day before I leave Ohio. IFLA runs a number of library themed trips both during and after the main conference and being this far from home I didn't want to miss the opportunity to explore some libraries in the US. 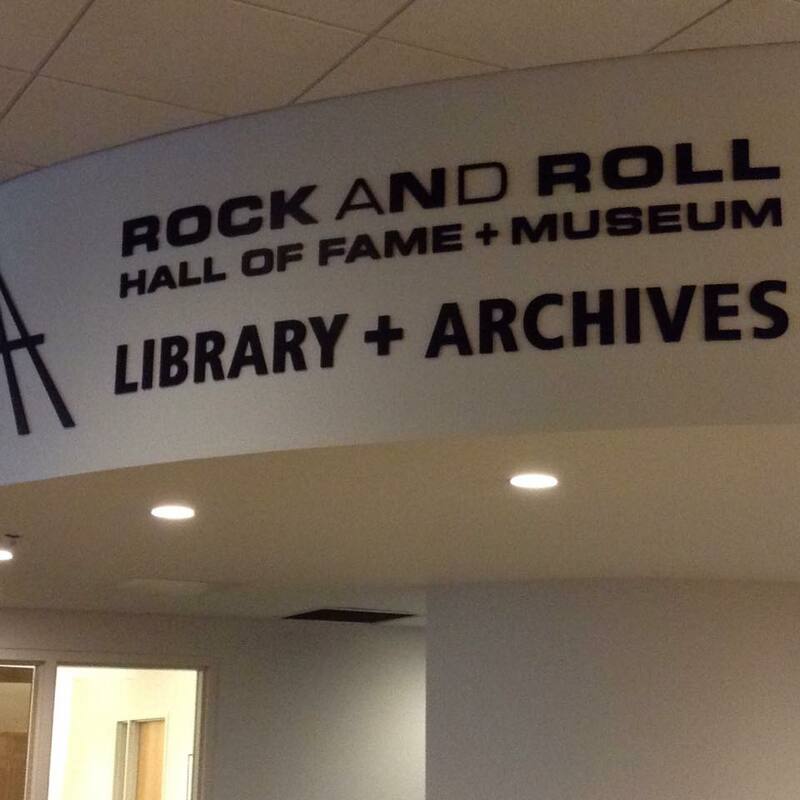 I chose to attend the Cleveland Rocks tour which visited the Cleveland Public Library and the Rock n Roll Hall of Fame Library and Archive. I must admit, Cleveland has ever been top of my list of places to visit but the lure of the Rock n Roll Hall of Fame Archive was too much! 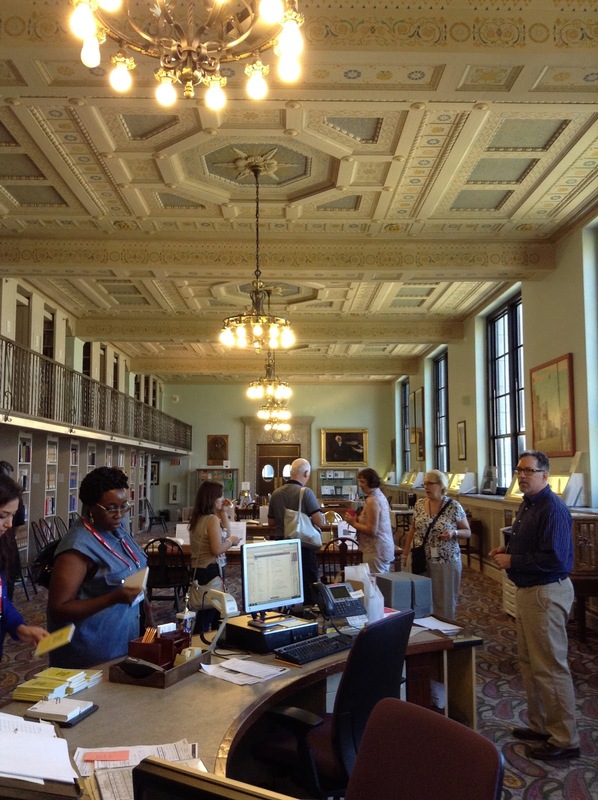 Our first stop was the Cleveland Public Library. The first thing I noticed was that it was guarded by large plastic animals including these colourful snails. This was part of an art installation taking place across public spaces in Cleveland and they certainly brightened up the outdoor reading garden. 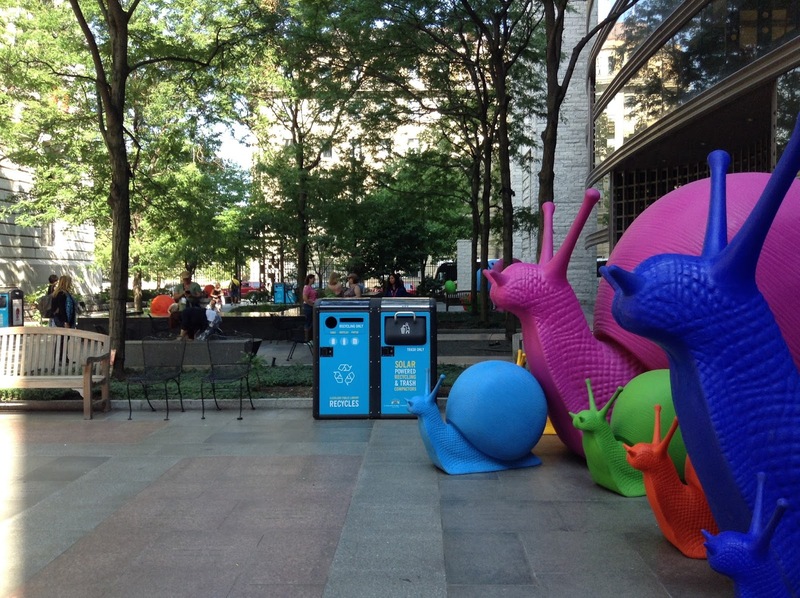 Hosting public art such as these animals is just one facet of the outreach that the Public Library practices. Inside we were treated to multiple exhibitions from a Shakespeare folio to signs made by homeless people asking for help. Both were interesting and moving in their own way. The main library branch is made up of two buildings - the original building dating from 1925 and a modern extension added in 1997. Good use is made of the space which is connected by an underground walkway and even though the buildings are quite distinctive the library does feel like one entity. There are a mixture of traditional and modern services in each building including a learning commons, a computer lab and a well used makerspace. Our visit to the Rare Books department was a particular highlight. As well as housing the world's largest chess library the department was also home to a collection of material on Alice in Wonderland and an impressive collection of miniature books. The department also featured an exhibition highlighting past presidents as Cleveland had recently hosted the Republican Party Convention. One particularly interesting item was a signed copy of Donald Trump's autobiography which had also been signed by Meredith McIver - speech writer for Melania Trump! Given recent events this lends an added significance to this item!All of these items and services combined to create a really well used public library service - something more policy makers need to pay attention to when they say no one uses libraries! 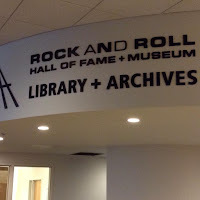 Our next stop was the Rock and Roll Hall of Fame Library and Archive (which is sadly not in the museum but stored on a local university campus). For anyone wondering why the Rock and Roll Hall of Fame is located in Cleveland the term rock and roll was coined on a local radio show in 1951. The real treasures of the collection are kept in the archive and we were lucky enough to be given a behind the scenes tour. The archive collects material related to its inductees, either collected by them or compiled by others. The material is available to researchers and is an invaluable source of information that they might not find anywhere else. Highlights of the collection include handwritten lyrics by Elvis, Bob Dylan and Jimi Hendrix. 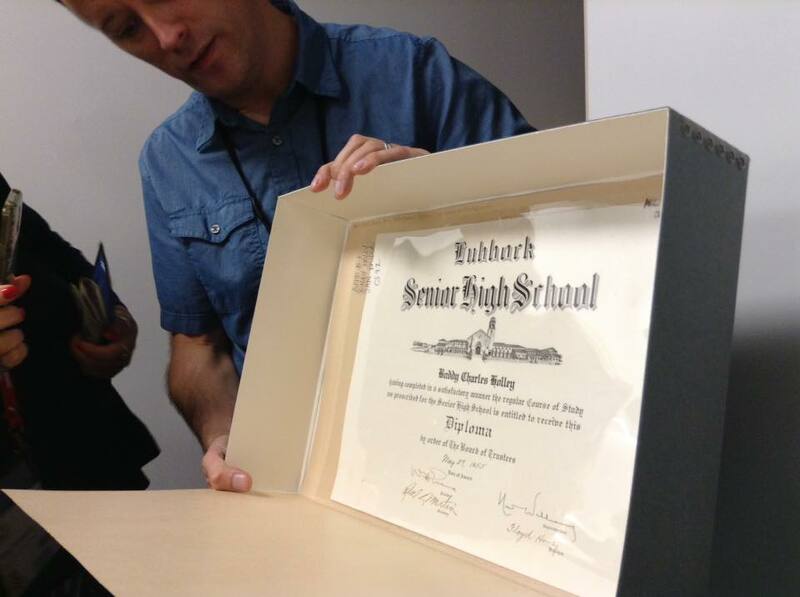 Another favourite was Buddy Holly's high school diploma. As well as preserving these items for research purposes the archive lends them for exhibitions and display in the Hall of Fame Museum. If I ever get back to Cleveland I'll definitely be making a visit to check them out!